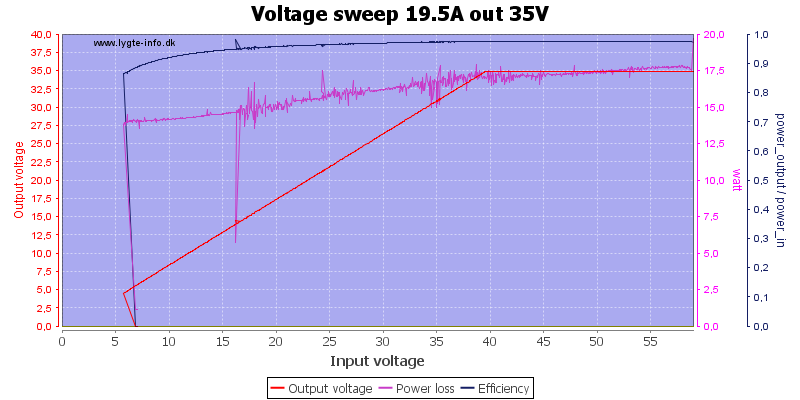 This is all the charts without many comments, for the review see here. The first voltage is input voltage, the second voltage is output voltage. 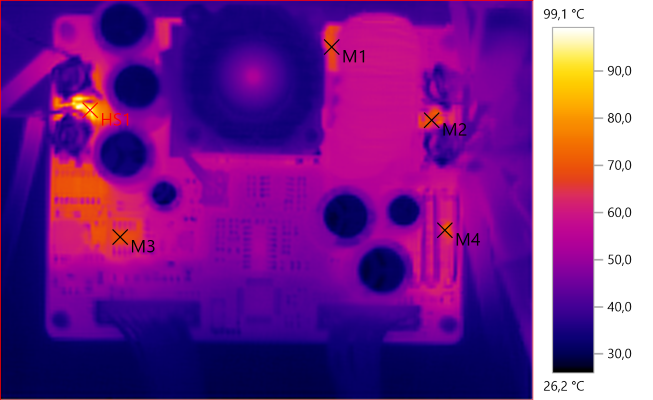 Here the fan starts before 10A, it looks like it also has a temperature sensor for fan control. These test are done with fixed input voltage, fixed output voltage and constant current. 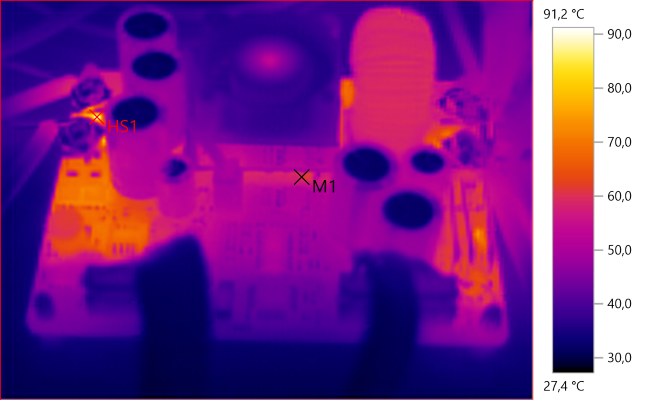 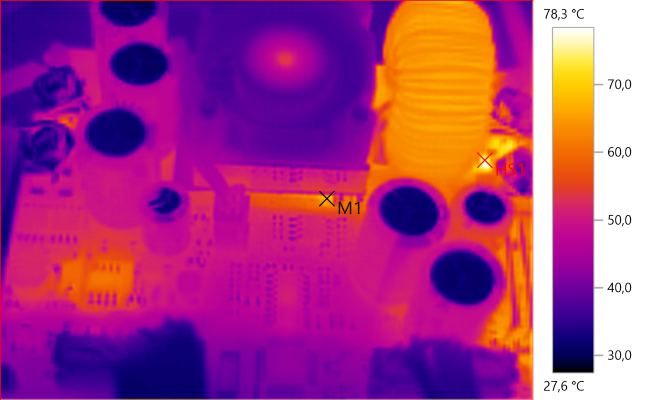 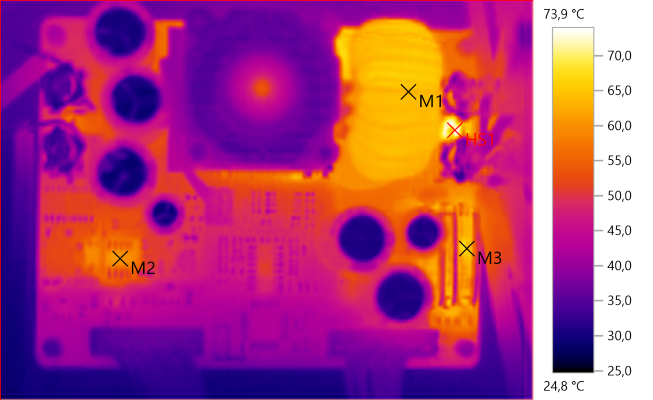 The purpose is to see if the output stays stable when the power supply warms up and also to see if the supply can maintain the current. 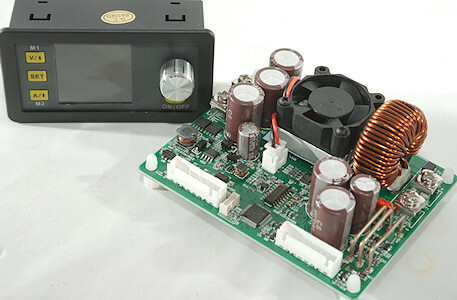 These test are done with constant output voltage and output current. 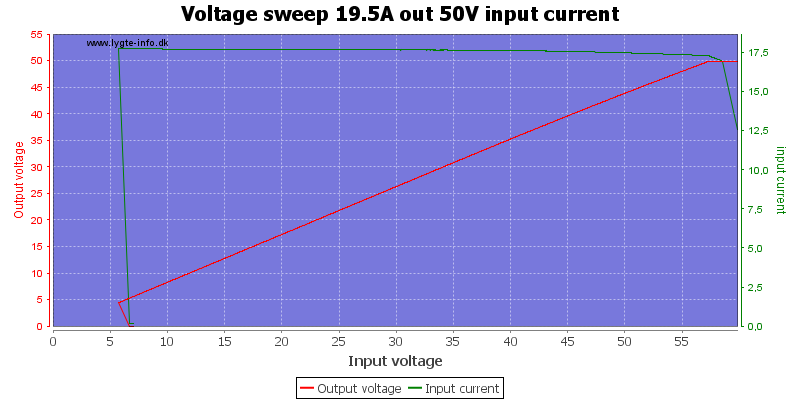 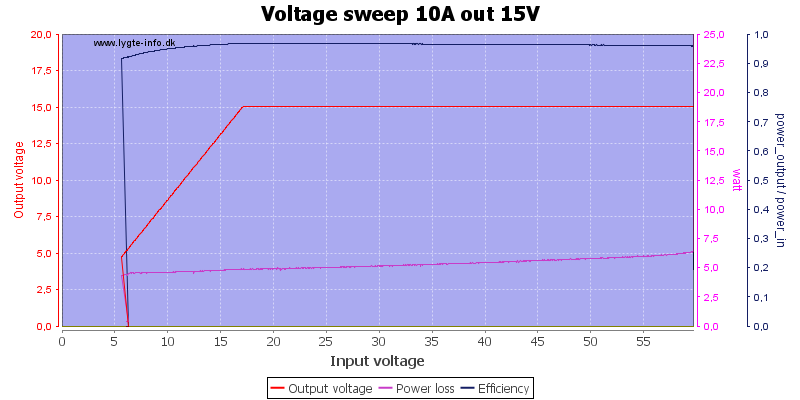 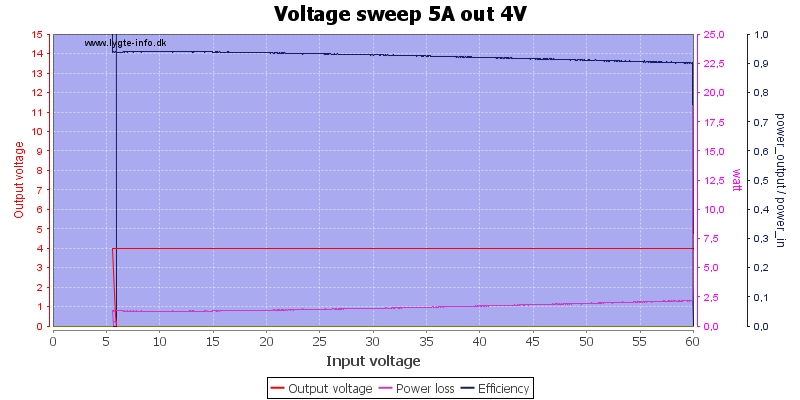 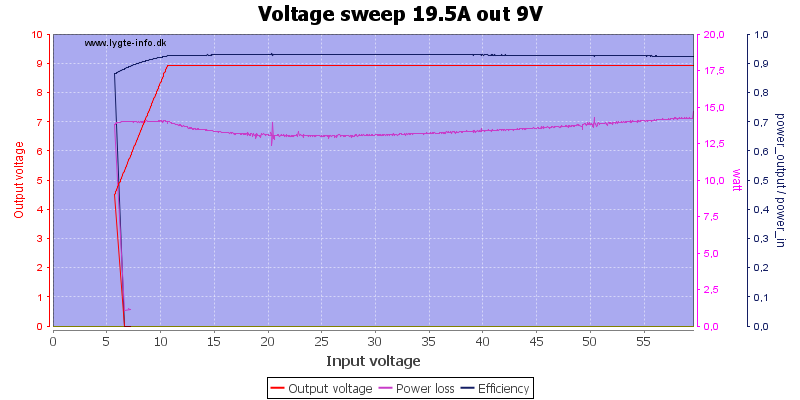 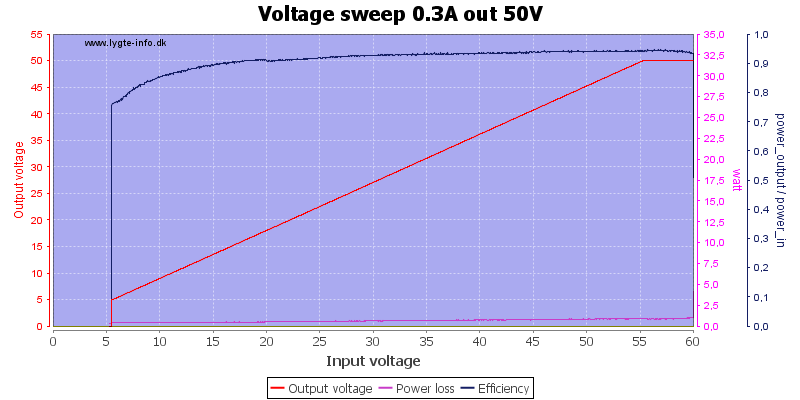 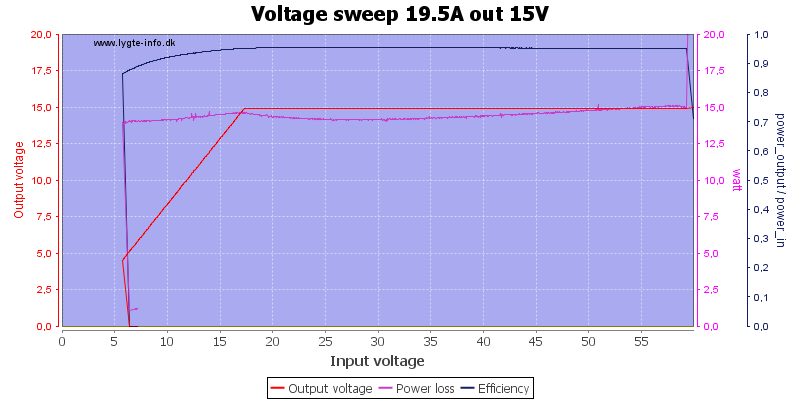 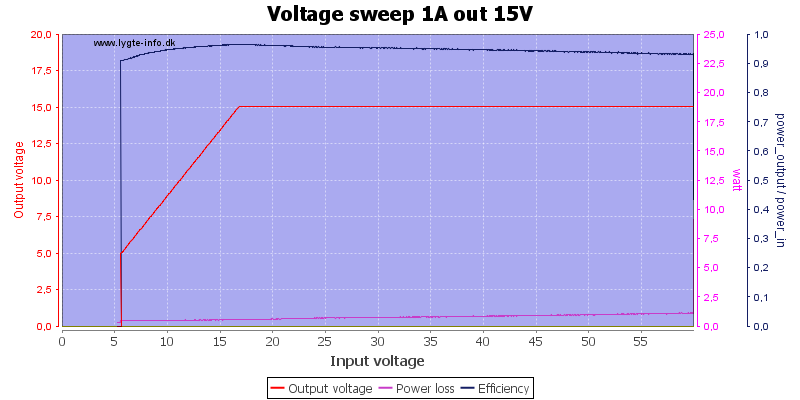 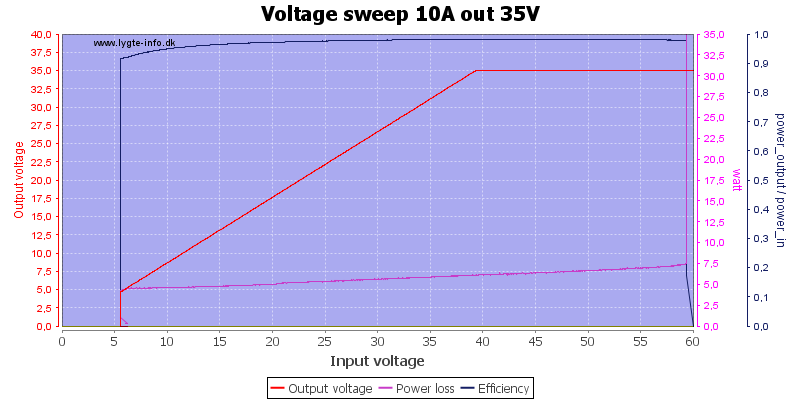 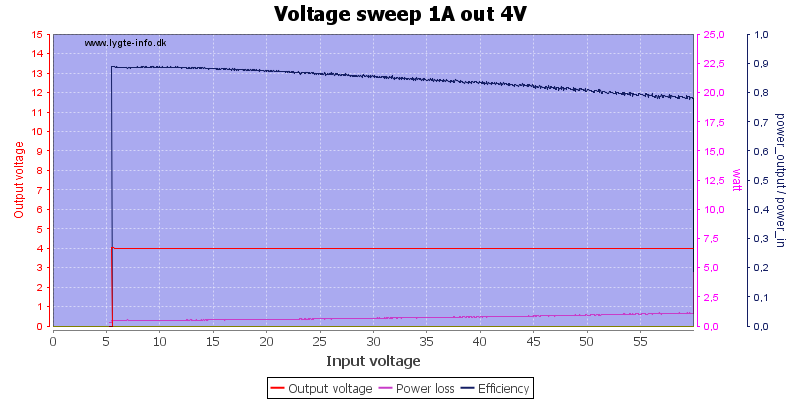 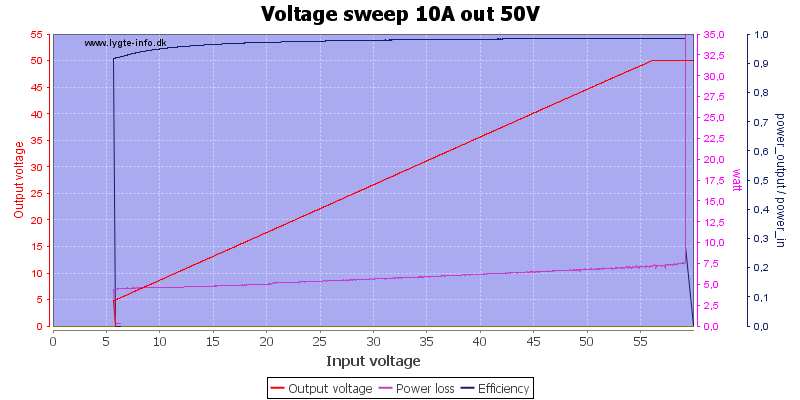 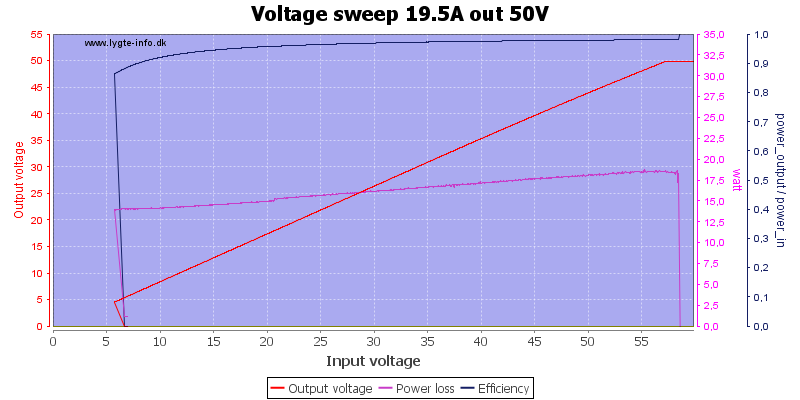 The input voltage is varied to see how the efficiency varies and how low input voltage it can handle. 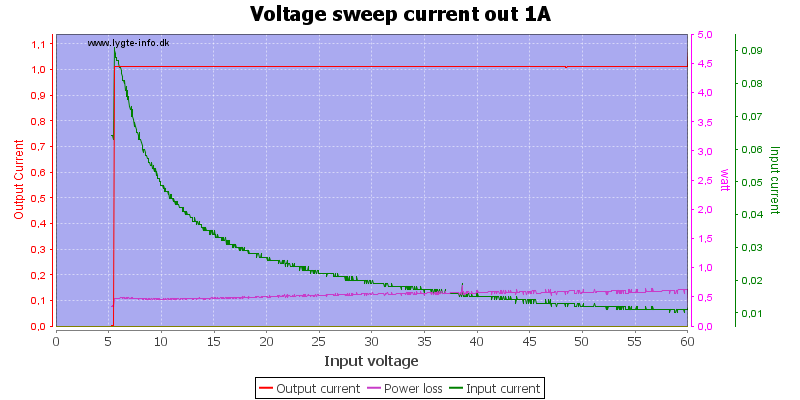 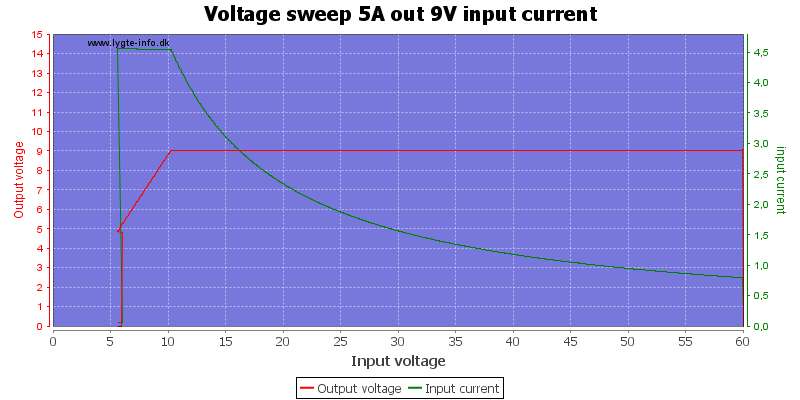 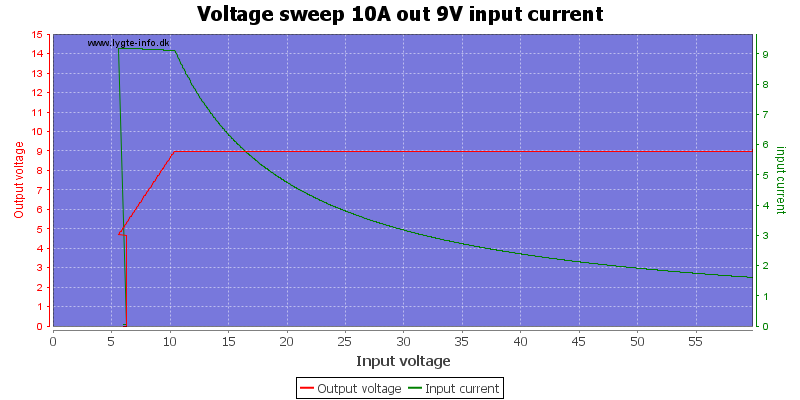 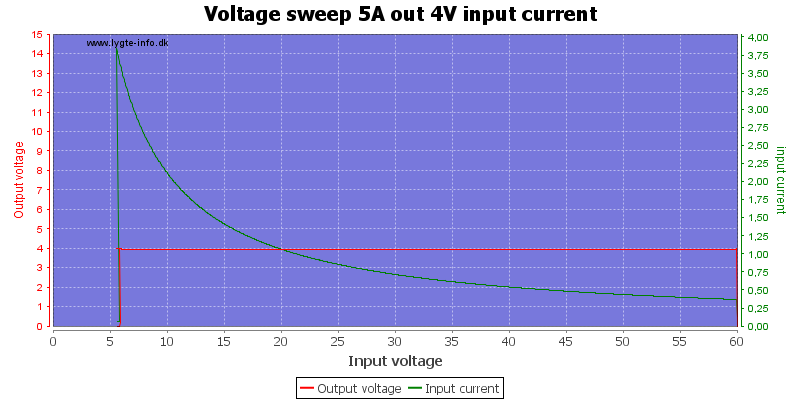 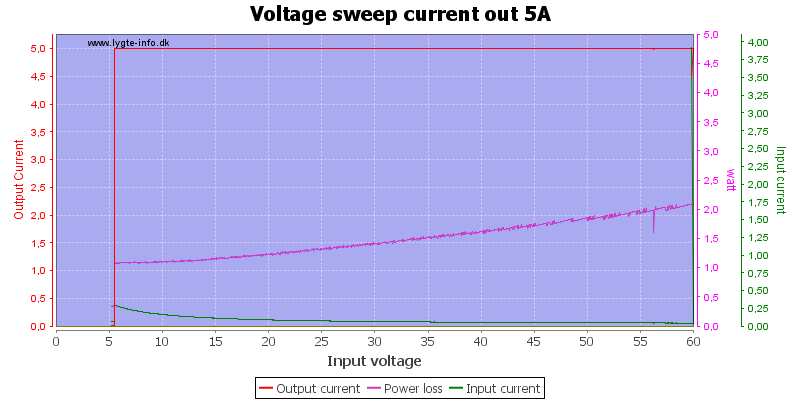 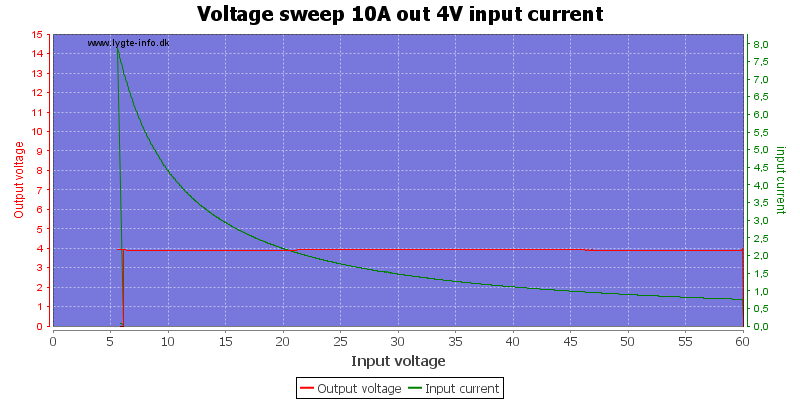 Same as above, just without any output current. This power supply has a constant current mode, these charts show how it works at different input voltage. 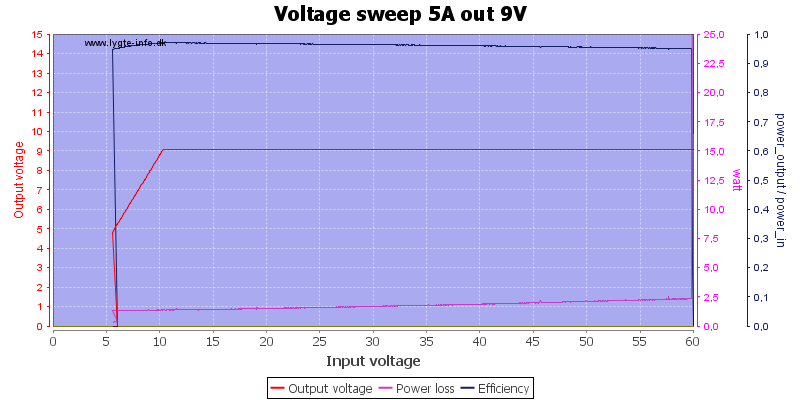 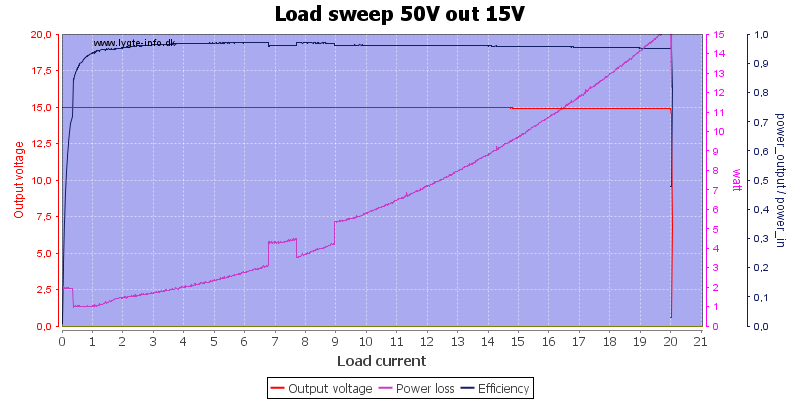 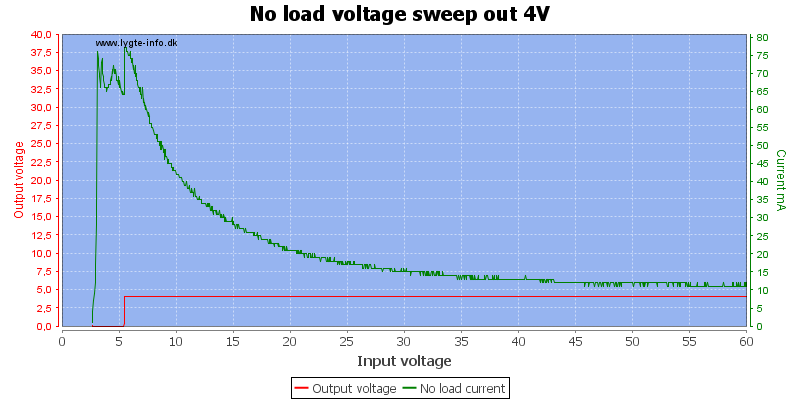 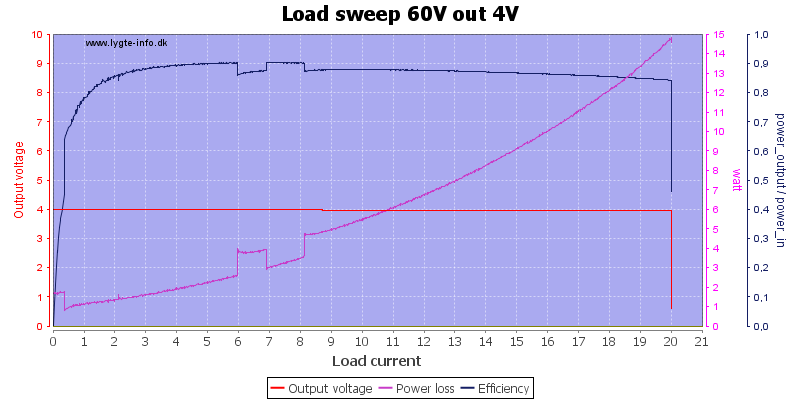 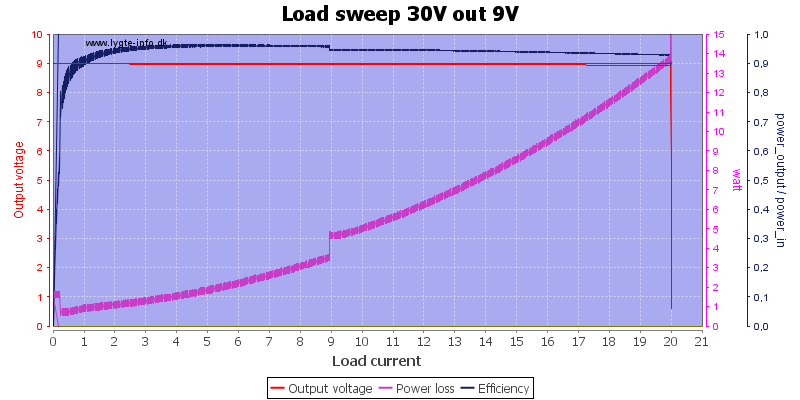 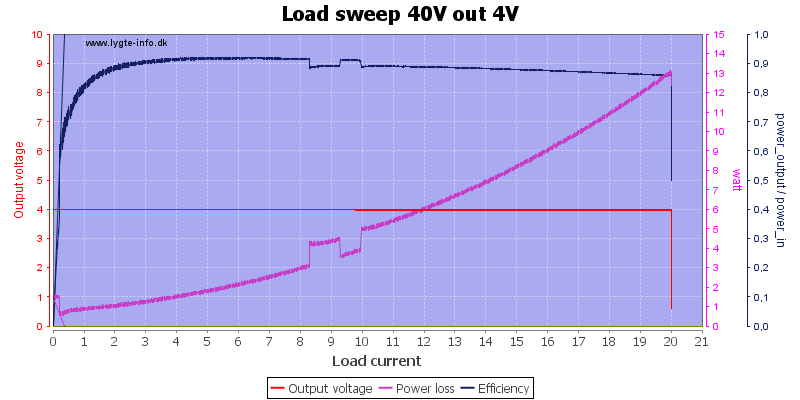 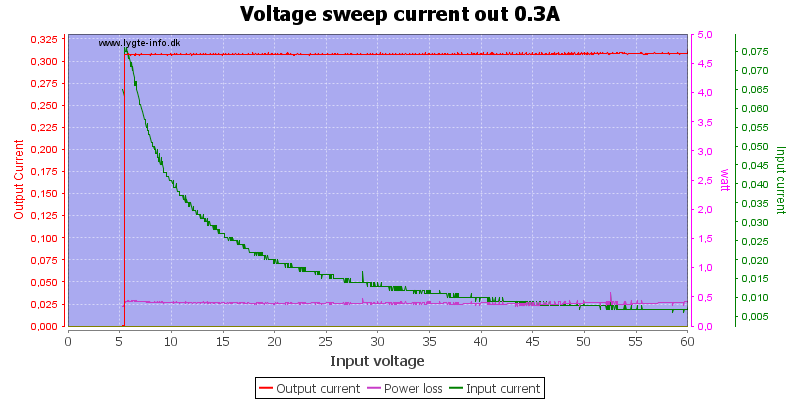 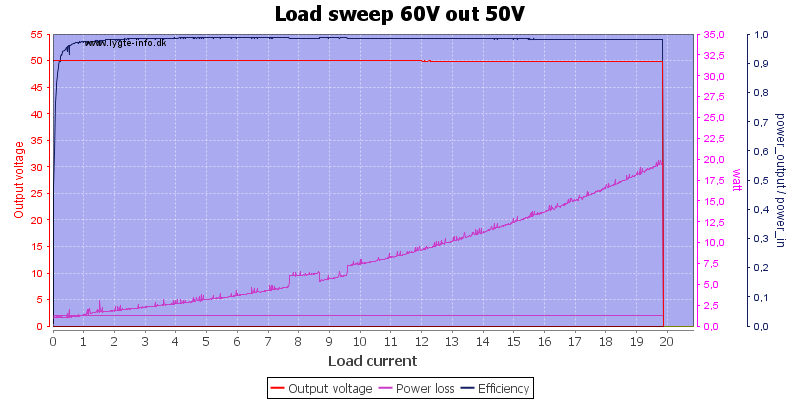 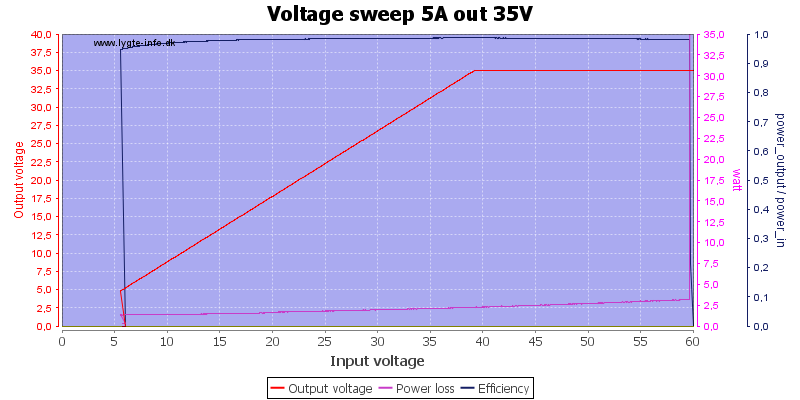 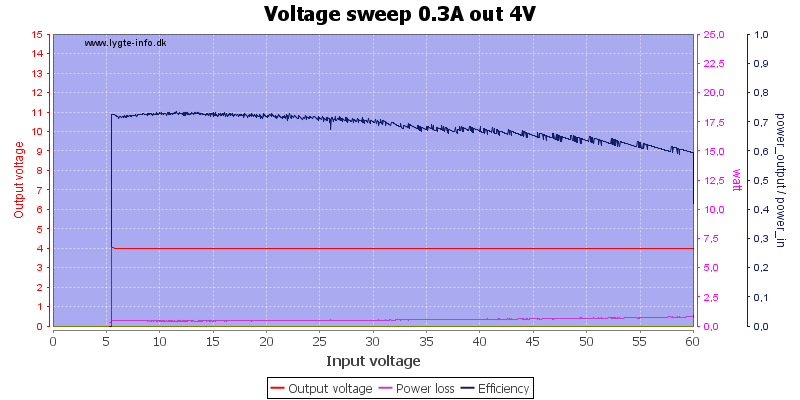 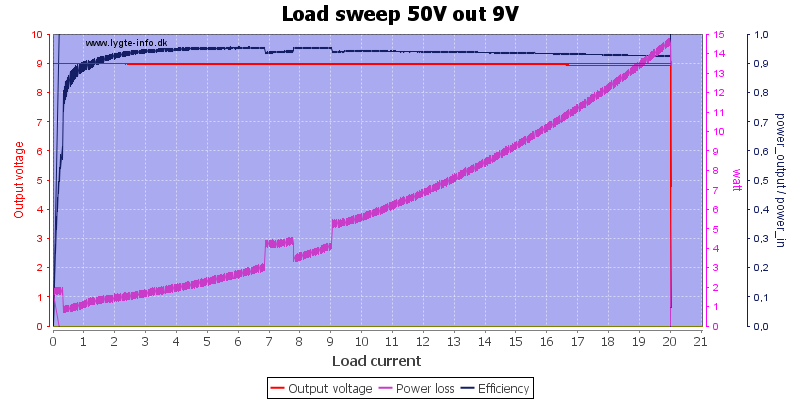 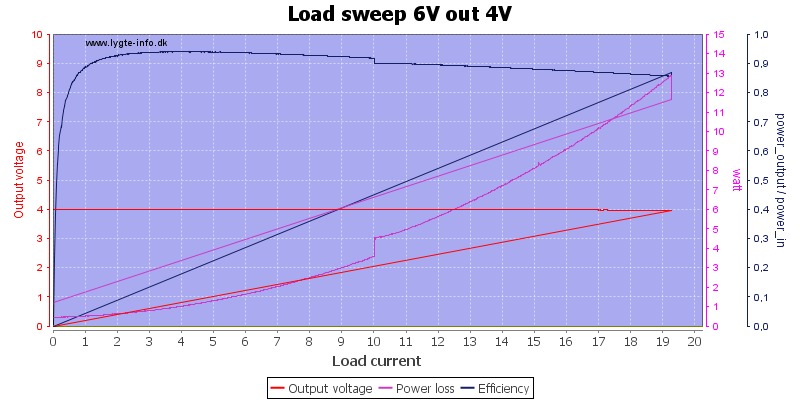 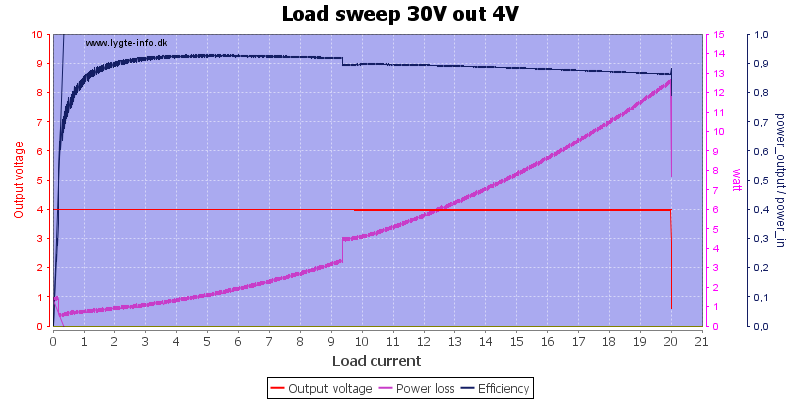 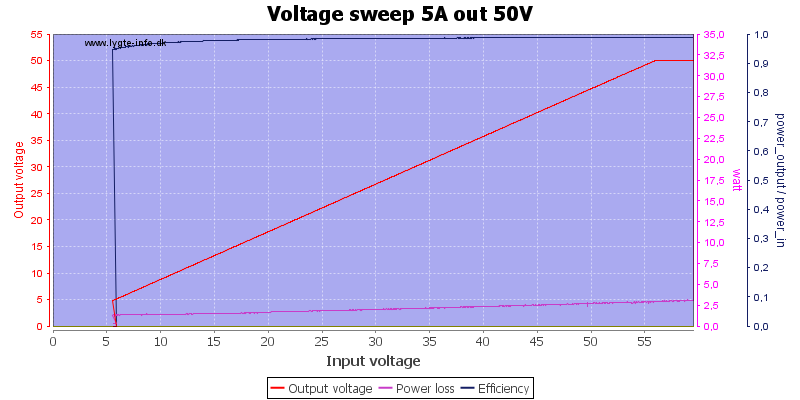 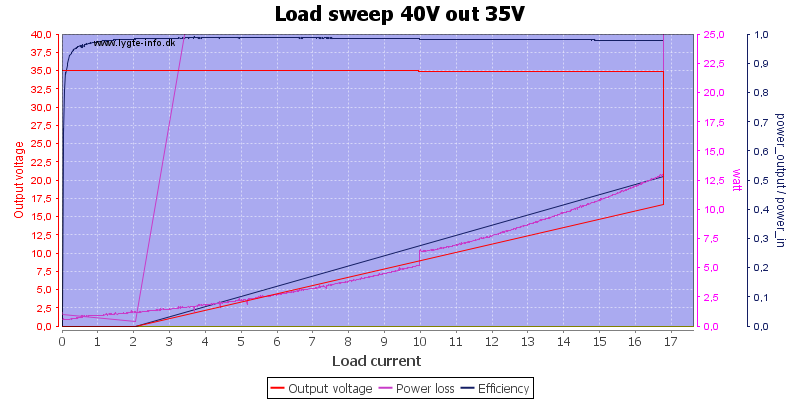 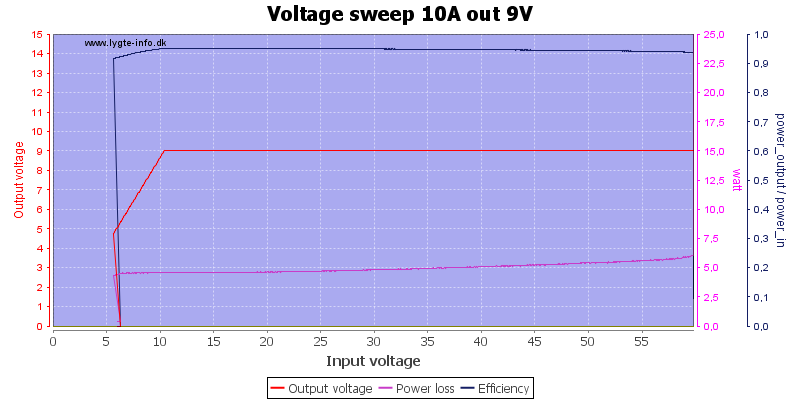 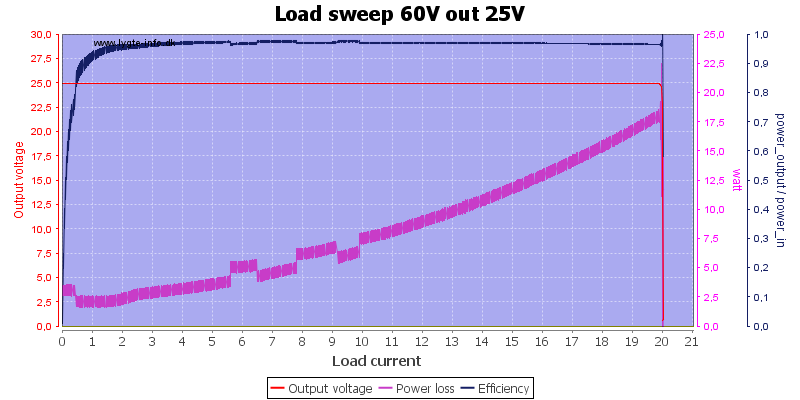 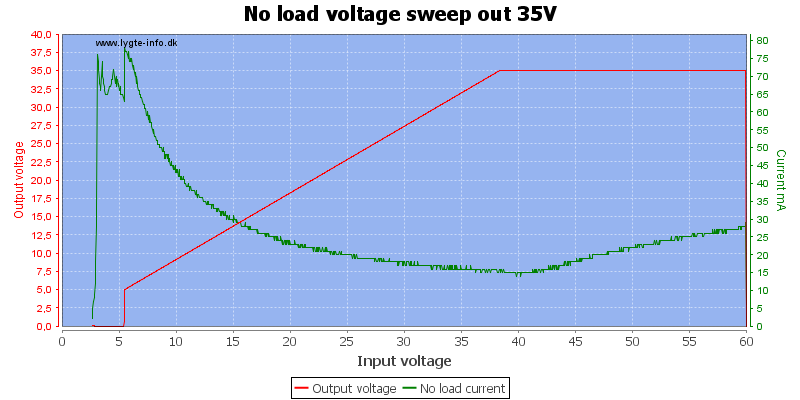 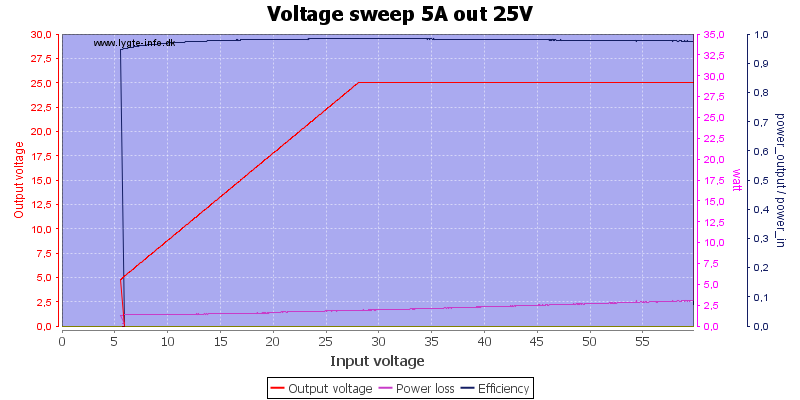 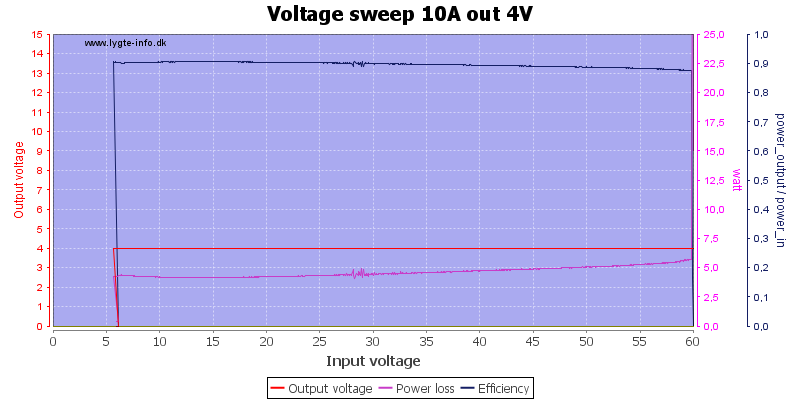 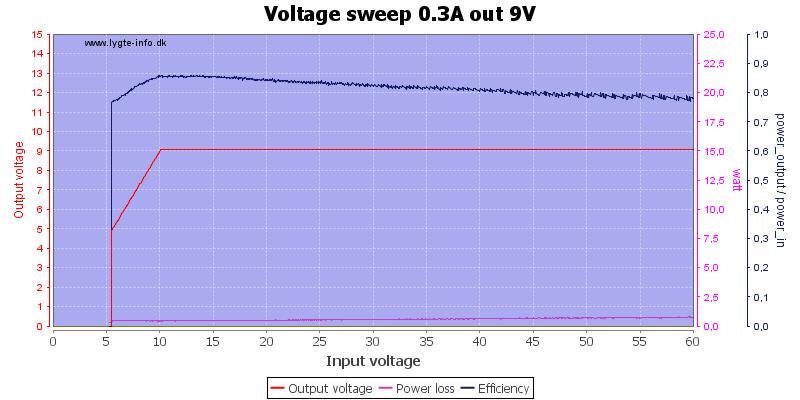 Output is nearly shorted. 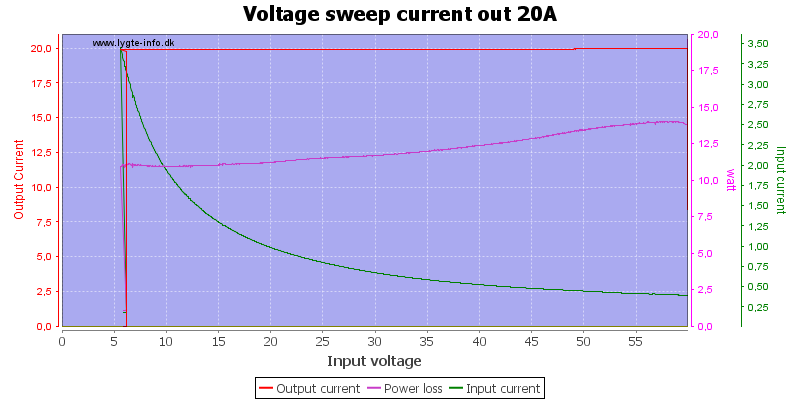 How do the output behave during on/off transitions. 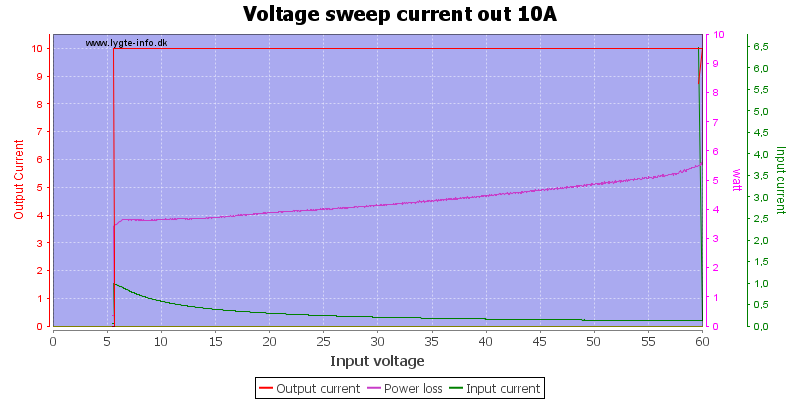 I test 3 situations: Input power to supply on/off, using the on/off button on the supply, connecting/disconnecting the load. 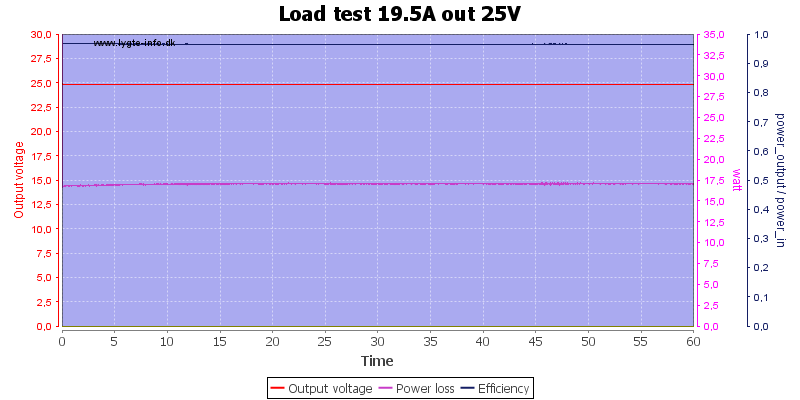 The load is a IT8512+. Noise is measured with a oscilloscope connected to the output, I use an electronic load for drawing the 19A.